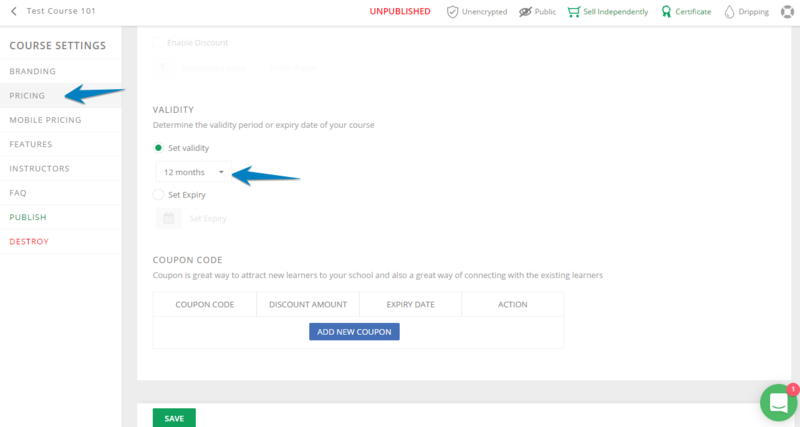 You can set the validity date for your course.Once the validity term is completed the course expires. To set validity, login into Learnyst as Admin and go to Course settings. You can go to course settings by navigating through from Admin dashboard Courses > [Your Course] > Course Builder > Settings > Pricing. You can select from the drop down, the term for which the course would be valid.